By: Smith, Ann, Y. 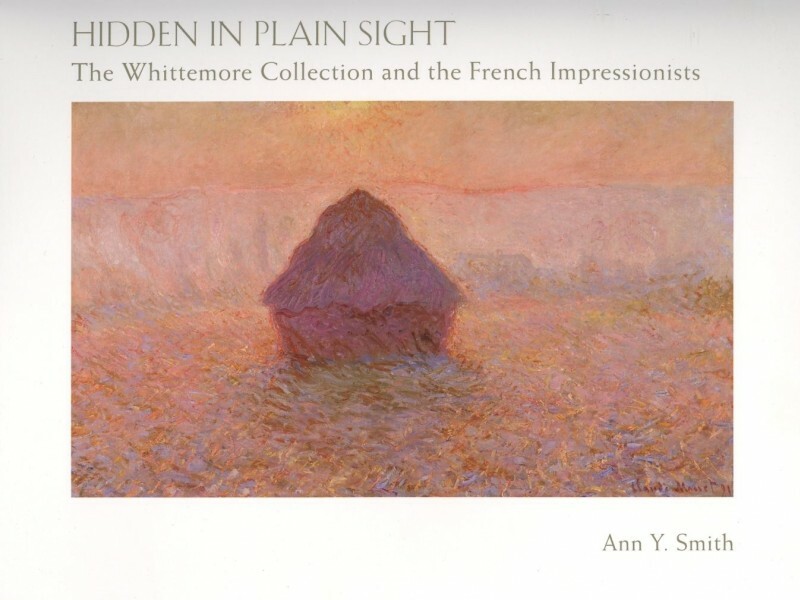 The legendary Whittemore Collection of Impressionist paintings is the subject of a new book Hidden in Plain Sight: The Whittemore collection and the French Impressionists. Author Ann Y. Smith presents a lavishly illustrated account of the family’s contributions to community-shaping parks and architecture in Connecticut, and their inspired collection of French Impressionism now in museums throughout the world. John Howard Whittemore and his son Harris Whittemore, who made a fortune in iron manufacturing, transformed the towns of Naugatuck and Middlebury Connecticut during the late-ninteenth and early-twentieth centuries. Bringing the best of contemporary art and architecture to their homes and their hometowns. The Whittemores brought the nation’s leading architectural firm McKim, Mead & White to Naugatuck to create and idealized vision of a New England community. They were also among the first American collectors of French Impresssionist paintings, acquiring more than 1,000 works of art by such French masters as Claude Mnet and Edgar Degas, as well as American expatriates Mary Cassatt and James Whistler. The newly revealed story is based on the family’s rich archives documenting a story that was largely unknown to the public for more than a century. Ann Y. Smith, the former director of the Mattatuck Museum in Waterbury, Connecticut has written many books and articles on American cultural history. Published by: Garnett Hill Publishing Co. & The Mattatuck Historical Society. Publication date: January 1, 2009.